Cites Range of Challenges to Mass. Health Council Annual Meeting. Mass. Health Council Executive Director Susan Servais recognizes outgoing Executive Committee President Paul Mendis, MD, Chief Medical Officer of Neighborhood Health Plan. 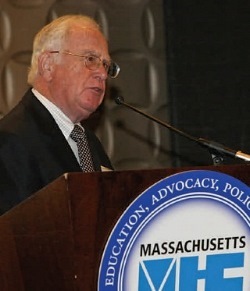 BOSTON (June 18th, 2013) – Citing advances in health care delivery and insurance systems, Massachusetts Health Policy Commission (HPC) Chairman Stuart Altman said the health care industry continues to make meaningful progress to meet demands of recent legislation by the Massachusetts State Legislature. 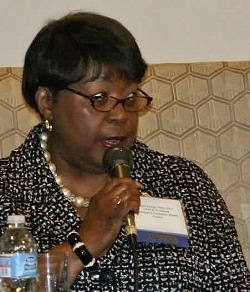 Speaking to a large group of industry stakeholders at the Massachusetts Health Council’s 2013 Annual Meeting at the Sheraton Boston, Altman, who is also a Professor of National Health Policy at Brandeis University, laid out the massive challenges facing the health care community which became effective in November through Chapter 224 of the Acts of 2012. Chapter 224, the subject of Prof. Altman’s remarks, was passed by the legislature in July 2012 and primarily seeks to reduce the increase in health care costs in the Commonwealth. Despite enjoying nearly 100 percent health care coverage of its citizens, Massachusetts faces some of the highest per-capita health care spending of any state. “We are making a difference,” Altman told about 250 diverse health care stakeholders at the meeting. “What you’re doing at the delivery system and the insurance system is critically important. The truth of the matter is, if you don’t do it, we won’t succeed.” Altman stressed, however, that the mandate given to him by Gov. Deval Patrick in November includes more than costs. His commission is also charged with improving health care quality and patient protection, care delivery and system reform, and health care investment and consumer involvement. Throughout his presentation, Altman referenced mistakes made in the health care industry during his four decades as an economist studying health care and their persistent impact on the system. 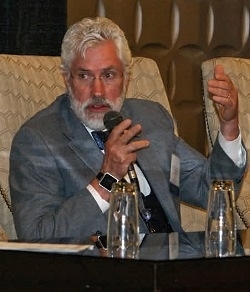 Irregular improvements in information technology, the difficulty of measuring health care quality and a public turned cynical by constant changes to health care preventive measures are only a few of the obstacles standing in the way of greater reform, Altman noted. A roundtable panel of stakeholders at the breakfast meeting, representing a spectrum of health care providers from teaching hospitals to accountable care organizations, reflected these difficulties in the reactions to Altman’s remarks. “Over the time period that Stuart drew our attention to today – where we’ve had such big increases in our national expenditures for health care – the underlying health status of the United States has gotten worse,” said Winchester Hospital CEO Kevin Smith. The topic of controlling costs dominated the conversation among health care stakeholders, including Chapter 224’s benchmark to index the increase in health care costs to the annual percentage growth of Massachusetts’ economy, presently 3.6 percent. Each of the five-member panel expressed confidence they could meet the cost-cutting benchmark, but worried about the impact of external forces on their efforts. “Draconian-sized cuts in our Medicare reimbursement, as we go from 2013 to 2014, are going to have a deep, dampening effect on the rate of increase,” Smith said. Altman emphasized his commission was not simply playing a “cost game.” He divided the commission’s work into subcommittees to confront four primary challenges. Chief among these challenges: improving health care quality. The roundtable speakers expressed their concern that no accurate measure of health care quality – or its improvement – currently exists. Some members of the panel, however, pointed to public perception as an inhibitor to delivering quality care in appropriate settings. Hospitals and other health care providers will be required by Chapter 224 to publish their cost structures for specific medical procedures, a challenge nearly every member of the panel found to be daunting. One type of provider, community health centers, will not be required to meet the cost structure regulation. Mattapan Community Health Center CEO Azzie Young took her opportunity on the roundtable to draw the distinctions between community health centers and traditional hospitals and how their existence can improve delivery and efficiency within the system. Clear among the contributors, however, is that more conversation about health care improvement needs to take place among a wide range of stakeholders. Prevention efforts and waste reduction, in particular, will never be successful until they are met by an engaged health care consumer. “Every time I hear a conversation by doctors about health care finance, the first thing they want to say is, ‘Well, it’s not all us. We can’t do it by ourselves,’” said Atrius Health CEO Gene Lindsey. 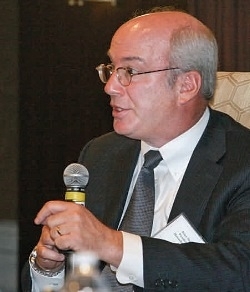 Despite his encouragement and support, Altman’s remarks also came with a clear message for industry stakeholders: while his commission may not hold regulatory power, Massachusetts Attorney General Martha Coakley and the Department of Justice are both watching industry response to Chapter 224 with particular interest. The Council’s Annual Meeting began with the election of a new slate of board members for Fiscal Year 2014. Marc Hymovitz of the American Cancer Society, New England Division was voted in as Board President, succeeding Dr. Paul Mendis of the Neighborhood Health Plan. commitment to improving and protecting health. Since its inception in 1920, the Council has helped shape public policy in fulfillment of its mission. The Council has historically taken a leadership role in promoting sound public health policy. We focus our attention on prevention and wellness, access to care, health care quality, health care cost, and such important issues as the enhancement of the public health infrastructure and disparities in the access to and delivery of health care. We are committed to guiding the dialogue with policy makers, researchers, advocates, providers, corporations and all those who join with us to improve health. We must continue our drive to reach each and every stakeholder in the health care system and bring them to the table, joining our efforts to improve and protect health. When organizations bond together as one voice, much can be accomplished. 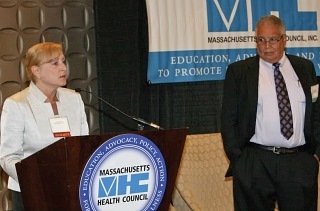 Cooperative action continues to be the call of the Massachusetts Health Council. The organizations of the Massachusetts Health Council have come together in an ever greater capacity to create coalitions promoting and protecting the health of our residents.